Patrina Jones has been the ‘voice’ of Gold 104.3 Breakfast news for the past six years and is now gearing up for the arrival of Absolute Radio’s Christian O’Connell. 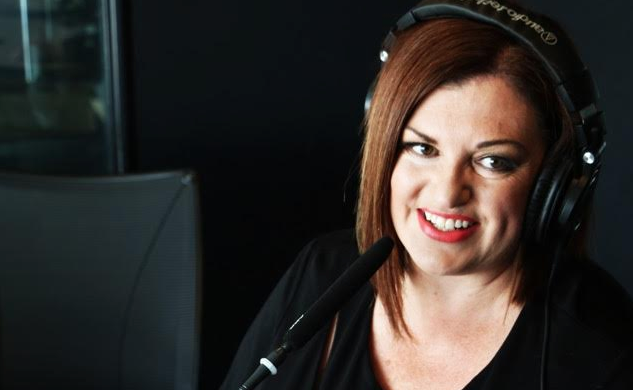 Her radio career has included stints in regional markets across Victoria. She was also a foundation member of the Nova 100 news team that also included Carrie Bickmore, Rebecca Maddern and 3AW’s Heidi Murphy. She answers 10 Questions from Radio Today. How did you start your radio journey? I did Year 10 work experience at 2AY and my home station 3NE and continued to haunt that place through Year 12 and the Swinburne Commercial Radio Course with Jim Barbour. There were unpaid weekend news shifts at 3SR, where I was too young to drive to Shepparton, so my mother took me at 5am. Then just before graduating from uni, former 3NE Content Director Mike Walsh offered me my first gig as copywriter/journalist/announcer/receptionist! Why radio as a career? I guess I just played to my strengths and as fate would have it, got my foot in the door. It was that or hairdressing. I reckon I made the right choice. It’s called a mortgage and private school fees! No really, you have to love what you do in order to get out of bed at 3am and leave your sleeping child. The fact I’m blessed enough to still be doing it 30 years down the track, proves that I still enjoy what I do and that I have more to give. A health scare three years ago gave me a second chance at life and you should embrace what you do, because it can be taken away at any moment. What have you learned as you travelled this path? To have faith in your gut instinct, your own ability and to back yourself. It’s not brain surgery and if you muck-up on air, then pick yourself up and get on with it. The challenge is to meet your own expectations, then everything will take care of itself. Also that the industry is constantly evolving, which keeps things interesting. Dramatically. The basics will always form the foundation of sound journalism and presentation, i.e. research, accuracy, succinct writing, general knowledge. But the advent of digital technology has made the job so much more streamlined. I don’t miss splicing reel-to-reel interviews and dumping grabs onto carts! Social media has played an enormous role in how we both gather and share news and has made the news cycle 24/7. Has there been a story/moment that has surpassed all others? Definitely 9/11. I went into the GOLD FM studios around midnight and started quarterly updates from 1am when I could get my head around the enormity of what was unfolding before the world. For others, I was working alone in the GOLD studio on a Sunday afternoon, with AAP and computers down, when news of a shooting at Port Arthur broke. The 2002 Bali bombing and Black Saturday are also etched into my memory. But my career isn’t just marked by some of history’s darker moments, being an original member of the Melbourne Nova news team, when it launched in 2001 presented me with the opportunity of a lifetime. How about the dream interview: any fan girl moments? Meeting Michael Jackson when he flew into Melbourne ahead of his History Tour in 1996. He looked like a Madame Tussauds figure and when he shook my hand, I couldn’t but help notice how big his hand was! Also interviewing Patrick Swayze in 1995, on his promotional tour of “To Wong Fu, Thanks For Everything”. He was so charismatic and had all the time for me. I’d really love to quiz singer Bryan Adams, whom I admire not only for his music, but his humanitarian work and photography. ACE CEO Mark Taylor poached me from 3NE to the ACE network in the early 90’s. I felt stuck under a glass ceiling in a small country town and while I was incredibly thankful for the break it gave me, the opportunity to get out of my hometown and be taken as a serious presenter really mattered. Any advice for those starting out or wanting to get into radio? Breakfast radio isn’t all glitz and glamour. I did 4am weekends for a decade. While the hours may not be long, they are odd and gruelling and demand a pace you will never know. But it’s such a privilege to be a part of an industry where you have license to express your creativity and personality. It’s a job that leads to so many other opportunities and you’ll meet a lot of awesome people, some of whom will become lifetime friends.